I have two cards of Jeremy Barfield. This one is from 2011 Bowman Chrome Prospects. Playing career: Outfielder Jeremy Barfield, son of former Yankee star Jesse Barfield, was drafted by the A's in 2008 and has moved steadily through their system, reaching double figures in home runs in each of the last four seasons. Where he is now: He started the season at AA Midland, and after hitting 8 HR in 99 at bats was promoted to AAA Sacramento. In 16 games at AAA he is hitting .241 with 3 HR and 11 RBI. My memories: He kindly shared his thoughts on baseball cards with this blog in 2011. Google Autocomplete results: He is third when you type Jeremy Ba, between Jeremy Bailey, a new media artist, and Jeremy Barbour, an architect. There do not appear to be any other prominent Jeremy Barfields. Coming up next: The next profile will be Jesse Barfield. I have four cards of Brian Barden. This one is from 2007 Ultra. Playing career: Infielder Brian Barden played for the Diamondbacks, Cardinals and Marlins from 2007 to 2010. In 193 at bats, he hit .211 with 4 HR and 14 RBI. Where he is now: Last season he played in Japan, though his season ended with surgery. You can follow his progress on his wife’s blog. He's back in the US in 2013, playing at the Dodgers AAA club in Albuquerque, hitting .231 with 1 HR and 11 RBI in 45 games. Google Autocomplete results: He is first when you type Brian Bard, ahead of Brian Bardell, Director of Volunteers of America. Another prominent Brian Barden is a surfboard artist. Coming up next: The next profile will be Jeremy Barfield. Got a whole bunch of cool cards in a trade with Nick of Dime Boxes. He writes one of the best baseball card blogs out there. Here are a sample of the awesome variety of cards he sent me. Not too often you see the number 97 on a baseball uniform. Here's an interesting photo, plus a bit of shininess. This at first looks like a simple play at the plate card, but check out the background. Not too often you see a wind-blown plastic bag in play on a baseball card. I have eight cards of Josh Bard. 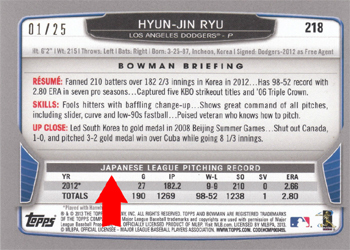 This one is from 2006 Topps Updates/Highlights. Playing career: Catcher Josh Bard played for the Indians, Red Sox, Padres, Nationals and Mariners from 2002 to 2011, hitting .254 with 39 HR and 220 RBI. Where he is now: In 2012 he played for the Dodgers AAA team in Albuquerque, hitting .331 with 6 HR and 32 RBI in 45 games. He retired after the season and chose to remain with the Dodgers as a Special Assistant. My memories: I remember him most as the catcher who had so much trouble catching Tim Wakefield’s knuckleball with the Red Sox that they had to lure Doug Mirabelli out of retirement. Turns out only seven of his 586 major league games were with Boston. Funny how the Yankee-Red Sox rivalry really skews your perception of a player. Interesting stories: Shortly after the 2010 season he was a passenger in a one-car accident that killed his best friend. Bard and the driver were buckled up in the front. His friend who was killed was sitting unbuckled in the back seat of the pickup truck. Always remember to buckle up, and never sit in the back of a pickup truck. Google Autocomplete results: He is fifth when you type Josh Bar, between Josh Barro Bio, referring to a political journalist, and Josh Barbanel, a real estate journalist. There do not appear to be any other prominent Josh Bards. Coming up next: The next profile will be Brian Barden. I have four cards of Daniel Bard. This one is from 2011 Topps Allen & Ginter. Playing career: Daniel Bard came up with the Red Sox and enjoyed three-seasons as a lights-out set-up man. Bobby Valentine tried to convert him to a starter, with disastrous results. Where he is now: Trying to bounce back from a lost season where he went 5-6 with a 3.65 ERA, and saw his strikeouts/nine innings ratio go from over 9 to under 6. In 2013, he has pitched only one inning for the Red Sox, and is struggling at AAA Pawtucket, with a 6.39 ERA in thirteen appearances. My memories: As a Yankee fan, it was fun watching the Red Sox implode last year. Bard’s troubles were just one part of it. Google Autocomplete results: He is seventh when you type Daniel B, between Daniel Bedingfield, a singer, and Daniel Bruhl, an actor. There do not appear to be any other prominent Daniel Bards. Coming up next: The next profile will be Josh Bard. I have one card of Homer Bailey, from 2008 Topps. Playing career: Homer Bailey was the Reds’ first round draft pick in 2004. He has pitched in the majors since 2007, but had his first particularly good season last year, going 13-10 with a 3.68 ERA. He also threw a no-hitter last September. Where he is now: In nine starts this season, he is 3-3 with a 3.08 ERA. This afternoon he beat the Cubs, allowing two earned runs in six innings in Cincinnati's 5-2 win. My memories: I remember him as a high-profile rookie but had pretty much forgotten about him until his no-hitter last year. Interesting facts: His name is David DeWitt Bailey. Homer is a family nickname. He has allowed 82 home runs in his career but has hit none. Homer Bailey Chardonnay is a wine whose sale benefits the charity Outdoors Without Limits, which helps the physically disabled enjoy the outdoors. Google Autocomplete results: He is sixth when you type Homer, between Homer Laughlin, which manufactures fine china, HomeRunDerbyUS, an online baseball game. Coming up next: The next profile will be Daniel Bard. I have one card of Scott Barczi, from 1990 ProCards. Playing career: Catcher Scott Barczi played four seasons in the Pirates organizations, hitting .235 with 7 HR, 101 RBI and 39 SB. Speedy catcher. Where he is now: Owns Barczi Builders in Naperville, IL. Google Autocomplete results: He is tenth when you type Scott Barc, after Scott Barclay, Surescripts, a healthcare technology executive. There do not appear to be any other prominent Scott Barczis. I recently completed another epic trade with Scott Crawford. About 2,500 cards changed hands in this one, and I don't think it's even the biggest we've ever done. Here are just a few of the tons of awesome cards I got in this deal. Baby Johnny Damon. I wonder if he could even grow a beard at this point? Maybe the best use of shadow I've seen on a card. This picture makes me thirsty. Nice Yankee Stadium dugout shot. A great card of under-appreciated Yankee Matt Nokes. I've seen baseball cards that were supposed to look like credit cards before, but never one designed to look like a frequent-flyer card. The back even has a "magnetic strip". Here's weird, wacky card. The funniest part might be the dirt stain on Martinez's shorts. When Topps recently issued a card of Dodgers rookie Hyun-Jin Ryu and couldn’t tell the difference between Japan and Korea, I thought it would be interesting to look at the issue of race and baseball cards. It turns out this is a legitimate area of scholarly research. 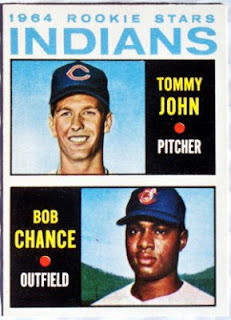 Because baseball cards have one player with an easily identifiable race, and also have well-publicized prices that are driven by the consumer market, they have been a fruitful hunting ground for economists looking at the impact of race on consumer behavior. There are even at least two scholarly articles on race and the placement of star players with "hero numbers" (100, 200, 300 etc) in Topps sets through the decades. Check out my piece at the Hall of Very Good where I examine the existing research on race and baseball cards. Infielder Hugh Quattlebaum played four seasons in the Tigers and Orioles organizations. His best season was 2000, when he hit .301 at Oneonta. Now a youth baseball coach in California, he kindly answered my questions about baseball cards. To be honest, I'm not real sure how I even had a Topps rookie card made. Seems to have been the result of some sort of fluke as I was NOT a top prospect with the Tigers. I remember when they came to take pictures at our instructional league for cards, there were several first rounders they could have used instead of me. Maybe they thought my last name was funny and wanted it on a card. Or maybe my photos were the only ones that came out right. Who knows? I remember the day I first saw it, we were in Fort Wayne, Indiana and someone handed my card for me to sign and I signed it without realizing it was a Topps card. There are all kinds of goofy cards out there for individual minor league teams, etc. Sometimes fans will just put pictures of you on cards to make it look like a card, too. So, at first, I was thinking that was the case, but then another one popped up a couple days later. I told my teammates that I had a Topps rookie card out there and they laughed at me, wisely surmising that there wouldn't be a rookie/prospect card of me because I wasn't a prospect! Nonetheless, it turned out to be a legit card and I'm just grateful that Edwin Encarnacion has picked up the statistical slack for the poor schlub on the other half of the card. I met Edwin at a spring training game when he was with the Reds and introduced myself telling him that we shared that rookie card together. He was very nice and it really is cool that he has gone on to such a productive career, but I'm pretty sure he left our conversation asking himself, "who the hell was that guy?" I'm sure he still signs that card almost every day and he's gotta be wondering what the hell ever happened to that Quattleschmuck guy. Quattlebaum doesn't exactly roll off the tongue in Spanish or English. There's an obscure set of Frederick Keys cards from when I played there where a few players were accused of adding props to their undergarments to enhance their appearance in them. I can neither confirm nor deny these accusations. I do not collect cards myself, no. Tommy John pitched for 26 seasons in the major leagues, winning 288 games. A four-time all-star, he was twice a runner-up in the Cy Young Award voting, and was the inaugural inductee into the Hall of Very Good in 2012. Now the owner of the Tommy John Pitching Academy and the Let's Do It Foundation, which aims to prevent youth sports injuries, he kindly answered my questions about baseball cards. "I just remember when I saw my rookie card. Double card with Bob Chance. I was really proud of that card. I don't collect cards. Never did as a boy either. Wish I did." Thanks! Here is a card of him from my collection, from 1982 Fleer. Got so many terrific cards in a recent trade with Kyle of Nolan's Dugout. We connected through Night Owl's very helpful One-Card Challenge. He is a Yankee fan and also collects parallel sets like Topps Gold and Leaf Black Gold. He not only completed two sets for me but sent me a whole bunch of other terrific cards. 1992 Upper Deck - completed! 1980 Topps - with Tom Terrific in my hands, I am down to three needs to finish this set - Johnny Bench, George Brett and Reggie Jackson. Great shot of Carlos Perez acknowledging the cameraman. Don Mattingly batting righty? Nope, it's a reverse negative. Mark McLemore - peace sign or V for Victory? Bernie Williams showing off the guns. Napping John Kruk - I think this is one of my favorite cards ever. Hi, my name is Joe Girardi. The lighter side of Randy Johnson. 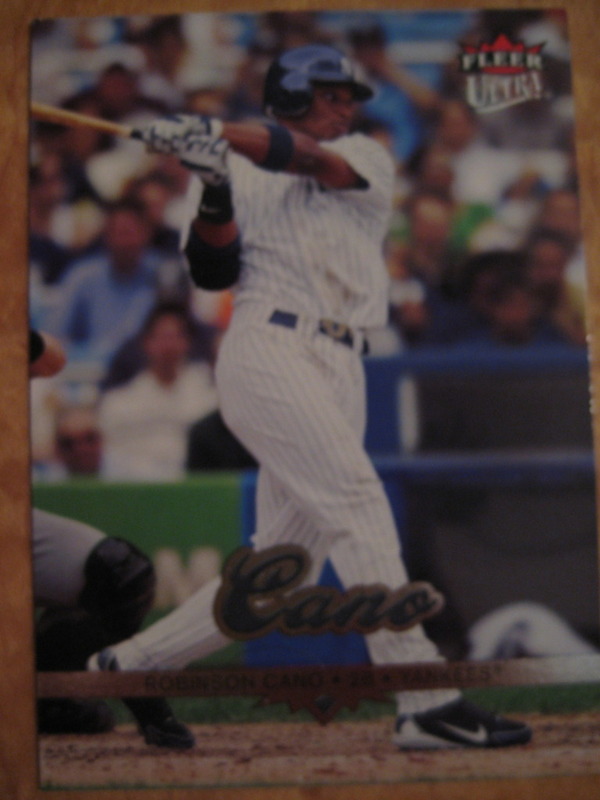 This is a great card capturing a great moment from my favorite Yankee year, 1996. It's largely forgotten now just how much excitement Darryl Strawberry brought to the team. I would guess this is from his 3-HR game against the White Sox. Any ideas where this photo was taken? I assume some Toronto landmark? Catcher Donnie Scott played thirteen years of professional baseball, including four years in the major leagues with the Rangers, Mariners and Reds. 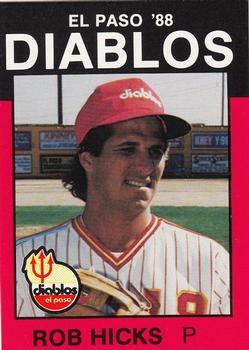 He then had a long minor league managerial career and is now a youth baseball coach in Florida. He kindly answered my questions about baseball cards. "I have a decent collection, but it is mostly from the 60's, 70's & 80's, before all of the different card manufacturers saturated the market. I lost interest because it was hard for me to keep up. I started buying complete Topps sets in 1976, but I really enjoyed building them from the bubble gum packs prior to that.That was one of my driving forces as a kid. I was going to get my face on a Topps baseball card. I can still remember the day the 1985 set arrived at my house. One of my proudest moments! Throughout my career as a player and a manager, I often wrote my kids names on my bats when I was posing for trading cards. Then, I started getting my son involved by including him in the shot. 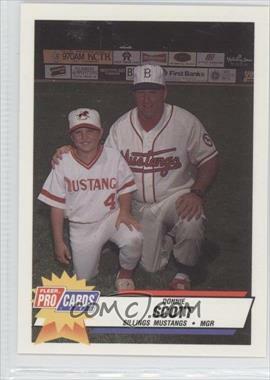 The ultimate card for me though was when my father and son joined me on a 2006 Sarasota Reds FSL card. My father has an incredible collection and we often kid about that being his rookie card. I forgot how much fun collecting baseball cards can be. It's time for me to dig out my old collection! " Had a fun day at Yankee Stadium today. The Yankees made fairly easy work of the overhyped Blue Jays, 7-2. Robinson Cano was the big hero with two home runs. It was interesting to see a lot of unfamiliar players on the Yankees. Instead of Teixiera, Jeter and A-Rod, they Yankees now have Overbay, Nix, and David Adams. They're playing pretty well though. And another new guy, Travis Hafner, found himself facing a unique shift - the Blue Jays would send their third baseman to right field to overload that side of the field. In the eighth inning Hafner figured out how to beat that shift, hitting the ball into the seats for a two-run homer. I have one card of Jose Acevedo, from 2005 Topps. Playing career: Jose Acevedo pitched for the Reds and Rockies from 2001 to 2005. In 104 games (59 starts) he went 18-25 with a 5.74 ERA. His career ended due to injuries sustained in a motorcycle accident shortly before the 2007 season. Where he is now: Anyone know where Jose Acevedo is now? Google Autocomplete results: He is first when you type Jose Ac, ahead of Jose Acosta, an artist. Another prominent Jose Acevedo is a sprinter. Coming up next: The next profile will be Scott Barczi. Rob Hicks pitched five seasons in the Phillies and Brewers, going 24-24 with 23 saves and a 3.75 ERA. Now a math teacher and pitching coach at Volcano Vista High School in Albuquerque, New Mexico, he kindly answered my questions about baseball cards. The minor league baseball card thing started soon before I was playing. It was pretty cool to get a packet of baseball cards of yourself! We all signed our $5 "contract" during mini camp. Some of the players balked at it, but were told in stern words to sign it by the staff. Nowadays I don't even know if they do that $5 thing anymore. Probably have to get agents and such involved...kind of sad to lose that little rite of passage into pro ball if it did. Players always tried to have some fun with it. Pitchers would have bats, RH's would put on LH gloves,. etc. Deep down we all loved it....it was a chance for us to be remembered on a card forever!!! The only story I have on one of my cards is the El Paso card. I was a little "woozy" from a "show the new kids Juarez" trip (season had not started yet...first workout) and I had a dip in....other than that I was in "just happy to be here" mode! I do not.........though I do wish I had the cards I had as a kid, they ended up being worth a fortune in the early 90's....I was the kid who used to memorize the stats on back, and could recite them at will. Baseball cards are truly pretty cool as they give a ton of info (the old ones) and also are a snapshot into styles of the years!! I have three cards of Marc Barcelo. This one is from 1995 Upper Deck Minors. Playing career: Marc Barcelo pitched in the Twins and Cubs organizations from 1993 to 1997. In 1993 and 1994, he was 13-7 with ERAs around 3.00. In 1995-1997, he was 16-23, with ERAs over 5.00. Where he is now: He has turned from baseball to golf (his brother is a pro golfer formerly on the PGA tour) and is the Head Golf Pro at the Lakewood Ranch Country Club in Florida. Google Autocomplete results: He is second when you type Marc Barc, between Mark Barclay and Mark Barclay Prophecy 2012, both of which refer to a “Preacher of Righteousness”. Another prominent Marc Barcelo is a Steadicam operator. I have two cards of Manny Banuelos. This one is from 2011 Bowman Chrome Prospects. Playing career: Manny Banuelos began his career in the Yankees organization in 2008, and in five minor league seasons is 19-19 with a 3.13 ERA, striking out 375 batters in 368 innings. Where he is now: Going to miss all of 2013 after Tommy John surgery. My memories: A highly touted Yankee prospect, it feels like we’ve been hearing about him for a long time, and now he has had a major injury which makes him feel like a bust. Still, he’s only 21. Google Autocomplete results: He is sixth when you type Manny, between Manny’s on Second, a sports bar on the Upper East Side, and Manny Perez, an actor. There do not appear to be any other prominent Manny Banueloses. Coming up next: The next profile will be Marc Barcelo. I have one card of Jeff Ball, from 1990 ProCards. Playing career: Jeff Ball pitched in 13 games for the 1990 Boise Hawks in the Angels organization, going 2-0 with a 5.02 ERA. My memories: Only know him for his card. Where he is now: Anyone know where Jeff Ball is now? Google Autocomplete results: He is sixth when you type Jeff Bal, between Jeff Balancio, Head of Governance at McCann Worldgroup, and Jeff Baliban, a forensic consultant. There is no reference to this Jeff Ball on the first page of Google Results, though there is a mention of another Jeff Ball, who played thirteen seasons of pro baseball, including time in the majors with the 1998 Giants. Coming up next: The next profile will be Manny Banuelos. Anyone have either of these to trade?